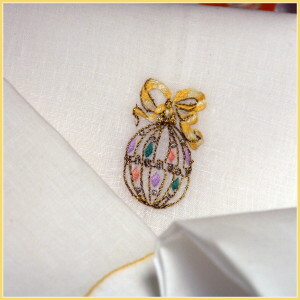 It is the time for chocolate eggs, but not only chocolate ones. 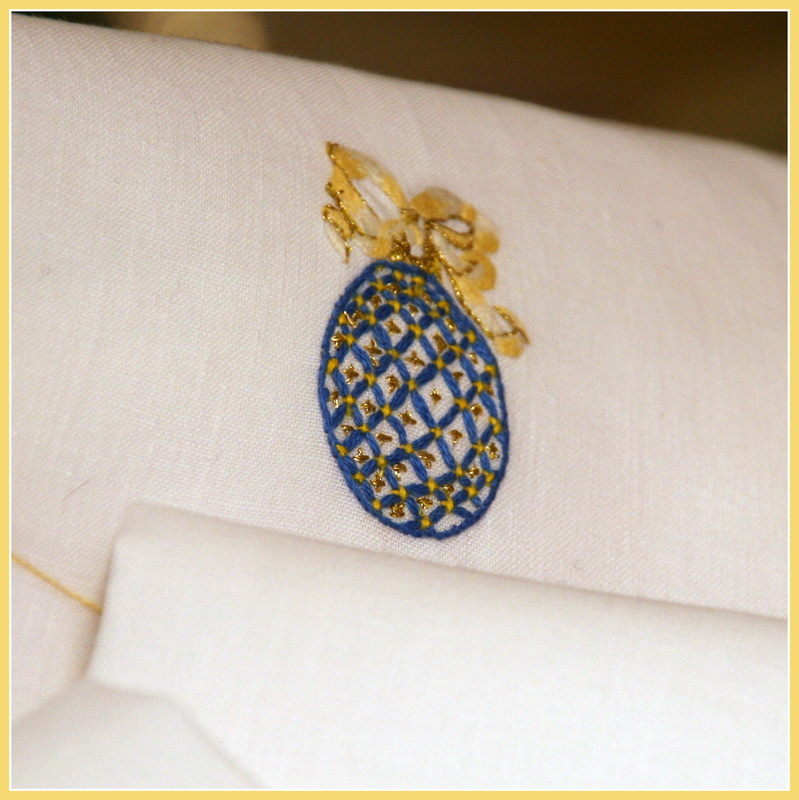 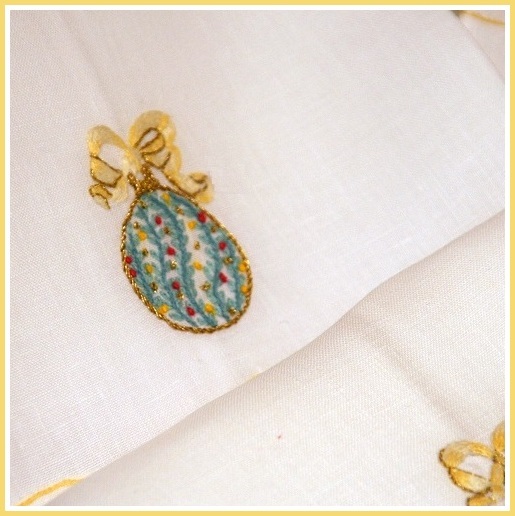 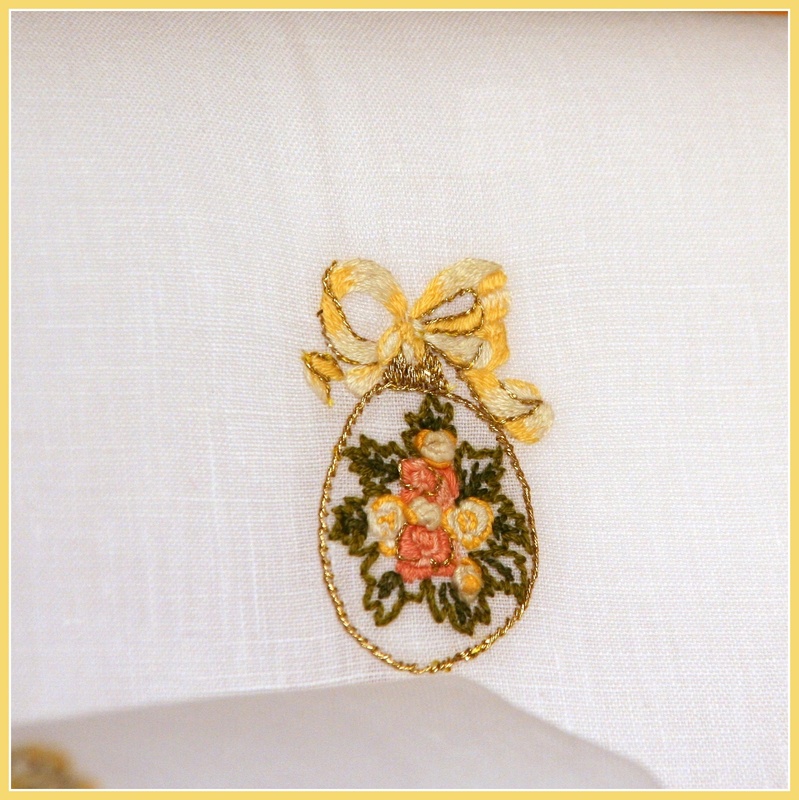 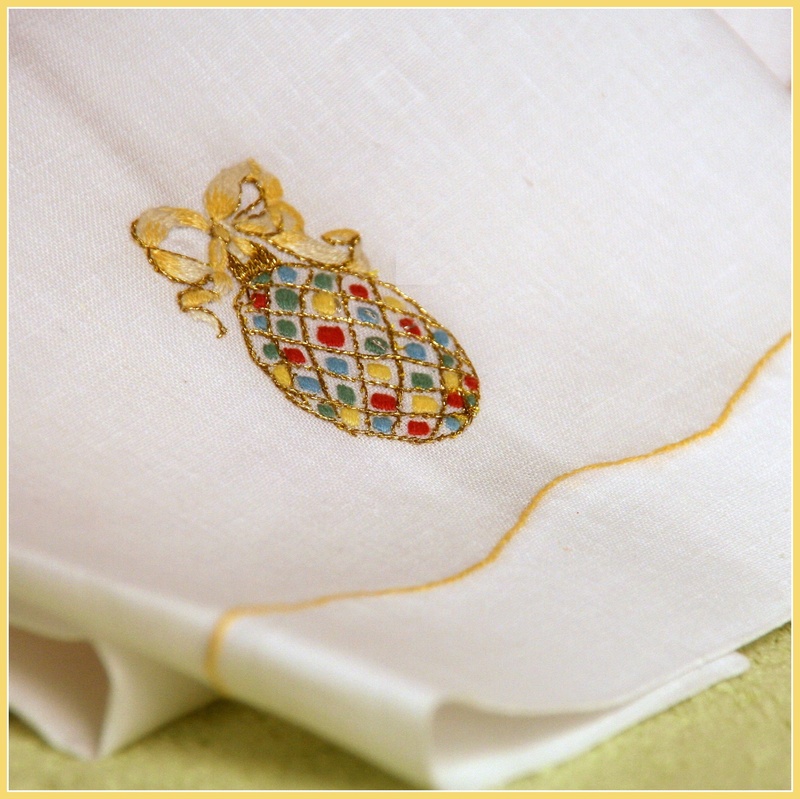 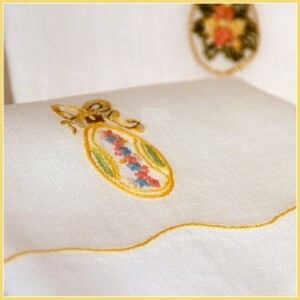 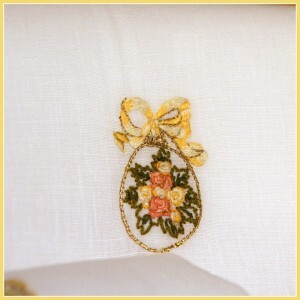 It is time for embroidered eggs too. 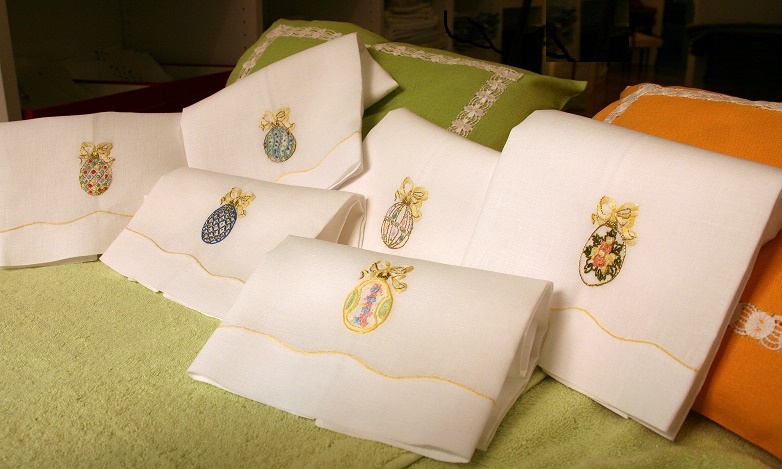 This year our collection of embroidered towels and runners inspired by Fabergé Eggs is enriched with new and colorful patterns: six different hand-embroidered designs on delicate linen towels and runners.